This week's topic for the Focus on Life weekly challenge is to "check out the beauty in the world. The beauty that is all around us, the beauty that we sometimes miss because we are busy with the daily activities we "need" to accomplish. It week let's slow down and smell the roses, feel the sunshine and enjoy the beauty that abounds in our world! I was tempted to go outside to find this week's shot. In fact, I am often taken with this scene right here as it is so lively all year round with a variety of birds....one of my favorite animals! 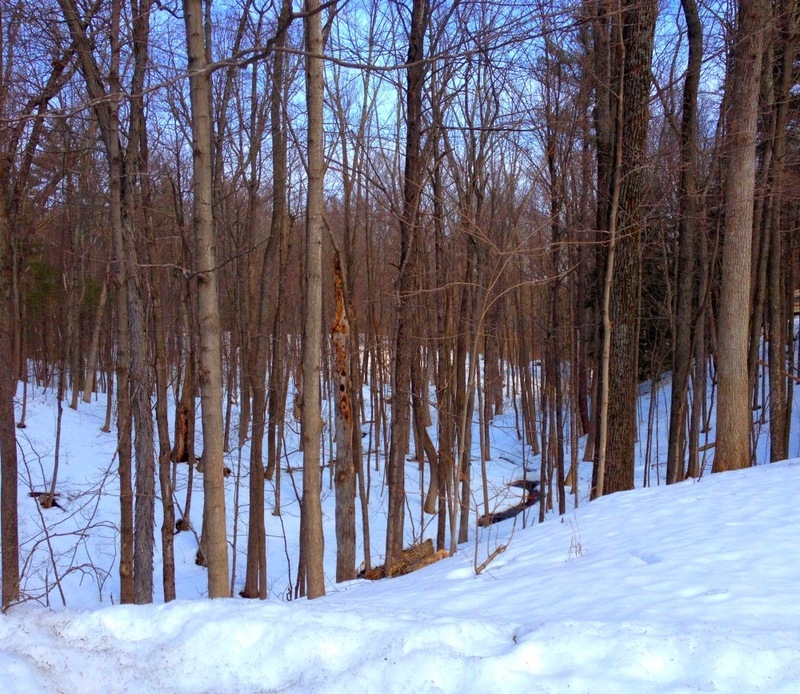 And I just love the babbling brook at the bottom of the valley that will soon be roaring as the snow melts! 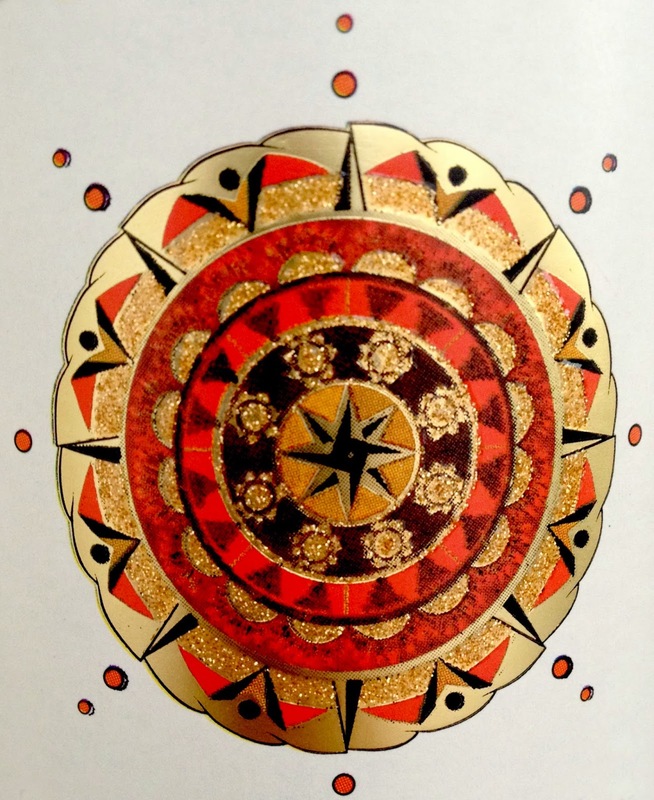 This mandala image is from a wine label! I didn't even notice how pretty the label was until I was about to open the bottle and I think it's just stunning! Then again I am a sucker for glitter. And the wine is pretty delish too! See below what the other participants photographed this week! Good eye, that is pretty and at first glance I had no idea it was a wine bottle label. Your outdoor photo is lovely, as are the other more colorful ones. That label is very pretty. It's those every day things like a wine bottle label that I don't take time to notice. How pretty is that! I know most everyone is tired of the snow, but I don't get tired of the beauty of it. Great photos! 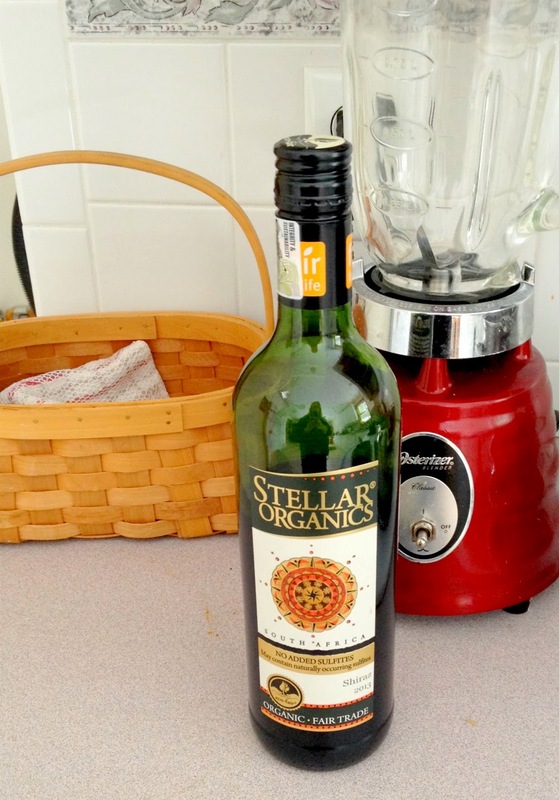 I often buy my wine based on the label or the bottle shape! We'll have a roaring stream here too soon... at least I hope it will be soon! The colours in that label are lovely! What a cool mandala! I love wine labels and buy wine just for the label - how weird is that? My friend shudders at my purchasing approach but I have had some great wine using this method! Love your snow photo too. Beautiful wine label!!! Maybe you should decorate the bottle once it's empty. I know! You could peyote stitch beads all around the bottle!!!! Ha, you fooled me, I thought the label was a bead, when I saw the thumbnail. Love your outdoor shot too. Yes, we often forget beauty is not only in nature! This is a beautiful label, it would make a nice cab! That's one gorgeous label - it just makes me want to go and buy the bottle - what good marketing! Pretty snow scene too. There's some beautiful patterns and art on packaging that we often overlook because we're only interested on what's inside. That's a lovely mandala on the wine label.